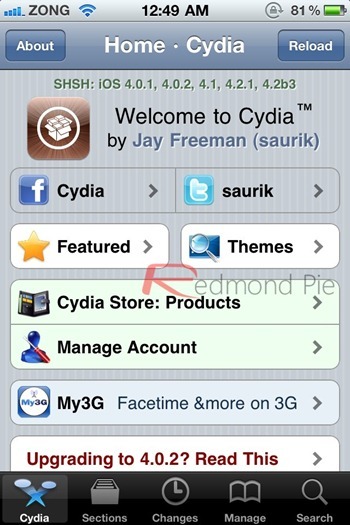 We knew it was coming, and now it looks like Saurik has finally rolled out a new major update for Cydia. The most prominent new feature of this update is “Manage Account”. 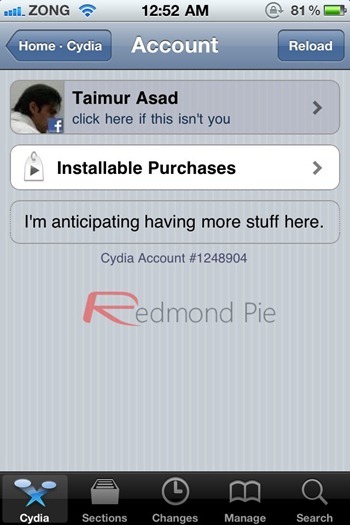 This new feature will help you keep a complete record of all your installed packages and apps that you have purchased from the Cydia store. This is something which even Apple’s App Store doesn’t have yet. All your purchases are tied directly to your Facebook or Google account. Now if you restore your firmware, or purchase a new phone, you can easily install back all your jailbreak apps and tweaks without having to manually look for them again in Cydia repositories. And this is not it, App Store like commenting, ratings and backup of installed Cydia repositories is said to be coming next. Jailbreaking iPhone, iPad and iPod touch is now going to be a whole a lot more fun !